It has already been a busy start to the new year and looks like it is going to get even busier. 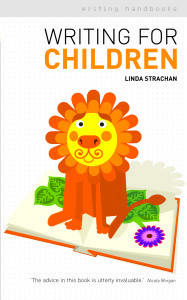 I’m working with Spittal Primary school in South Lanarkshire , and the P5/6 class primarily, on a residency with as part of the Scottish Book Trust Author Residencies. 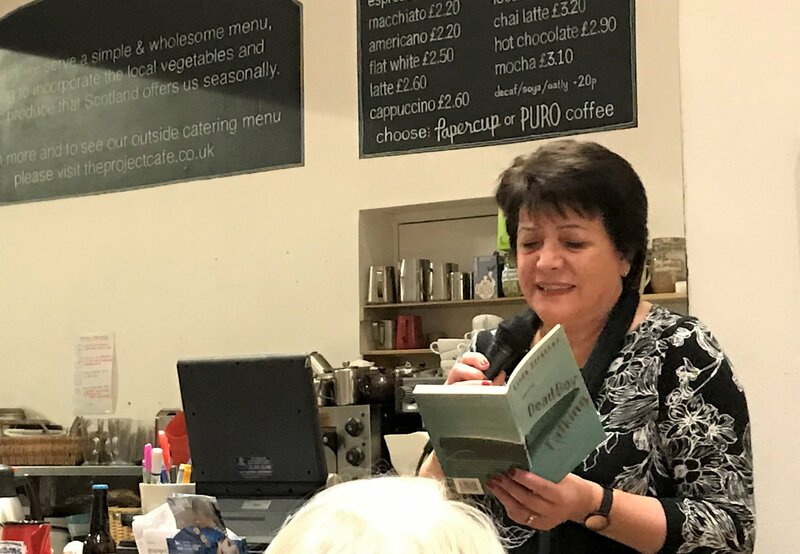 I have a few other school visits planned but not too many as I am in the middle of a couple of books, one that almost finished but more about that soon. I’ve also been working on a new and much updated edition of my writing handbook on Writing for Children. It is hard to believe it was published over ten years ago. So much has changed in the world of publishing and there are so many lovely new books out that it really needed updating. This is the previous cover and the new one will look very different and the new edition will be substantially different inside, too, with a completely new section on writing for YA (Young Adults) and much more on middle grade that seems to encompass a wide range of age and ability. Doing the research for this book means that I am reading lots of new books, and revisiting a few of my favorites since it is not always about what it new since children growing up are a new audience all the time. Self publishing has also changed a lot in the last 10 years and there are also a lot more enthusiasm to show diversity of all kinds in books both fiction and non fiction, and a lot more on mindfulness and mental health. The section on ‘now you are published’ will also be updated with more on school visits, events, promotion and all the other aspects of being a published writer. 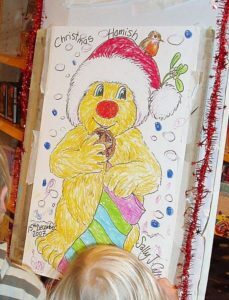 Hamish makes a TV appearance! A lovely way to end 2018! 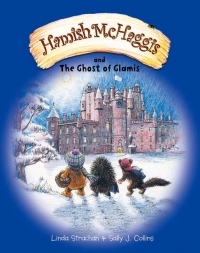 Hamish McHaggis and the Ghost of Glamis was featured in BBC Alba and read, in Gaelic, as a bedtime story for children. You can watch it on BBC iplayer for the next few weeks. 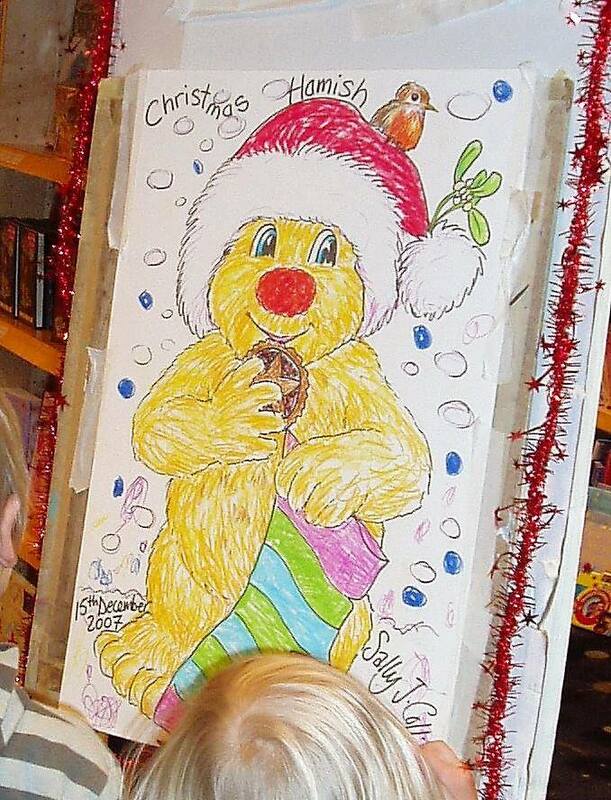 Sally J Collins’ lovely illustrations are so bright and the sound effects are a lot of fun. 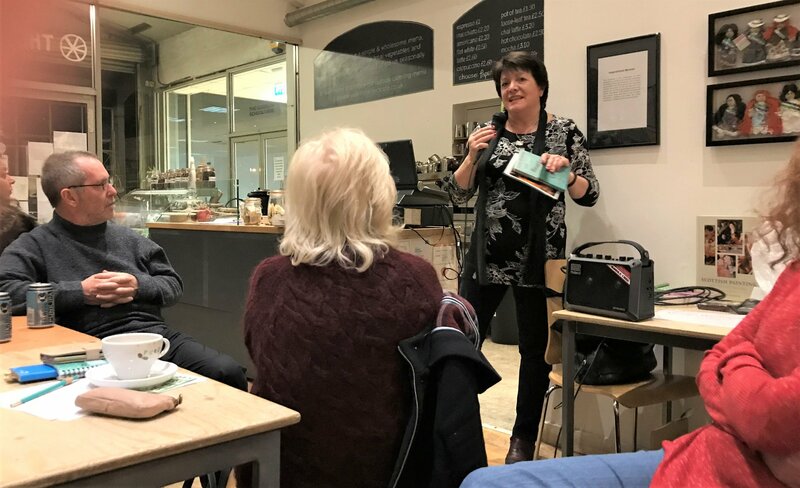 Last week I was invited back to speak at Weegie Wednesday http://www.weegiewednesday.org Glasgow’s monthly networking meetup for people connected to books, publishing, bookselling – illustrators, comic book writers, drama, radio, TV, media and all related creative industries. It was a great crowd and very friendly! I was mostly speaking about writing for Young Adults and although it was a short talk we got through quite a lot and there were some excellent questions. I finished by reading a very short taster from Dead Boy Talking. A lovely evening all round, and I want to that the organisers for inviting me.